The Grand Junction Daily Sentinel reports on the western Colorado city's rising air pollution, and the link to booming natural gas drilling in the area. The paper reports the results of an ongoing air toxics study in Grand Junction, explaining "The study shows the amount of volatile organic compounds and other pollutants in the city’s air are on par with the amount found in the air of Denver and most other urban areas across the country." Volatile organic compounds, which include hundreds of different chemicals including benzene and formaldehyde, pose a dual threat to community health. Not only are volatile organic compounds hazardous in and of themselves, they react with sunlight to form dangerous ozone pollution, the primary component of smog. Ozone pollution, or smog, is the most widespread and pervasive threat to human health in the Rocky Mountain Region. Oil and gas developments in Mesa and surrounding counties are already significant source of volatile organic compounds in the region. According to the state of Colorado, oil and gas developments were the source of 90% of Garfield County's volatile organic compound emissions just in 2002. In assessing Grand Junction's air, we cannot ignore the connection between booming natural gas drilling and declining air quality. The Salt Lake Tribune called attention to Utah's dangerous particulate pollution today and called upon Utahns to reduce their driving to help protect clean air. The Tribune needs to be given a big hand for supporting reductions in driving to help reduce air pollution, but their statement that "most of the obvious industrial sources already have cleaned up their acts" is a bit of an overstatement. Industrial sources of air pollution, like coal-fired power plants, continue to release millions of pounds of particulate pollution into the air of Salt Lake City every year. We could always do more to reduce pollution from these sources. In addition to reducing the number of cars on the road, further reductions in particulate emissions from coal-fired power plants and the like could be the one-two punch that Salt Lake City metro counties need to fend off unhealthy air pollution. Activist in the Trenches Award! On behalf of Center for Native Ecosystems and its Board of Directors, Rocky Mountain Clean Air Action founder and director Jeremy Nichols last week was awarded the Jasper Carlton "Activist in the Trenches Award" for fierce, uncompromising defense of endangered plants and wildlife in the Greater Southern Rockies. From left below are Erin Robertson (Center for Native Ecosystems (CNE) staff biologist), Jacob Smith (CNE Executive Director), Jay Tutchton (CNE Board Member), and Jeremy Nichols (holding the coveted award). The award was inspired by the work of Jasper Carlton, who pioneered the use of science, citizen petitions, and lawsuits to secure protection for imperiled wildlife, fish, and plants on the brink of extinction. Prior to founding Rocky Mountain Clean Air Action, Jeremy worked with Laramie, Wyoming-based Biodiversity Conservation Alliance, carrying on the work of Jasper and securing protection for dozens of native species. 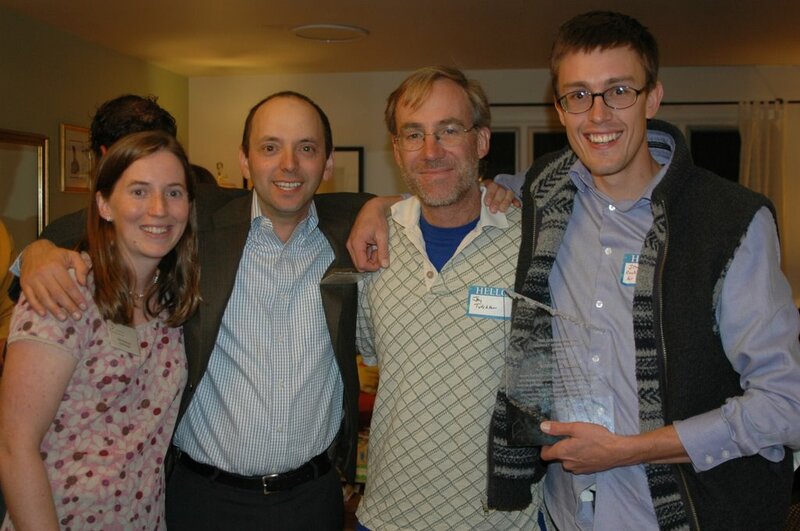 Although Rocky Mountain Clean Air Action's efforts focus on clean air and community health, our efforts are largely inspired by Jasper's advocacy. Jasper showed us that with good science, a healthy command of the law, an understanding of our rights as citizens, and dedication to protecting our environment, we could do just about anything. Clean Air Watch's Blog for Clean Air reports on more fallout over the Environmental Protection Agency's (EPA's) failure to protect people from particulate pollution. This is more than just fallout, though. The decision to not lower annual standards for fine particle pollution has the potential to lead to 30,000 deaths annually. The EPA's decision will leave communities throughout the Rocky Mountain region polluted and at risk. Scientists recommend that the EPA adopt a standard that limits annual fine particle pollution to no more than 12 micrograms per cubic meter in order to protect our health and prevent deaths. Since 2000, this annual limit has been exceeded in the Rocky Mountain region. According to EPA monitoring data (presented below), fine particle pollution has exceeded 12 micrograms per meter cubed in Colorado, New Mexico, Utah, and Wyoming communities over three dozen times. 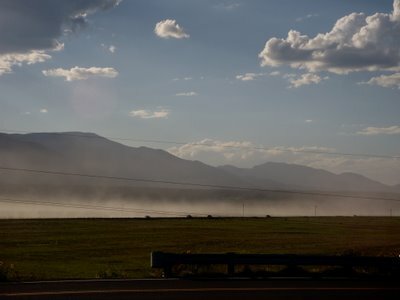 Utah in particular suffers some of the worst fine particle pollution in the Rockies. Communities in the Salt Lake metro area suffered particle pollution above scientifically recommended health standards every year between 2000 and 2005. Salt Lake City, 3275 W. 3100 S.
Salt Lake City, 5715 S. 1400 E.
Sheridan, 45 West 12th St.
Adams County 4301 E. 72nd Ave.
Salt Lake City, 1675 S. 600 E.
West Valley City, 3275 W. 3100 S.
Grand Junction, 650 South Ave.
Logan, 125 W. Center St.
Washington Terrace, 4601 S. 300 W.
Grand Junction 650 South Ave.
Bountiful, 171 W. 1370 N.
New standards for particulate pollution fell short of fully protecting people and ignored scientific recommendations, as well as the American Medical Association, the American Lung Association and the American Academy of Pediatrics, but the standards did reaffirm the fact that rural communities, like their urban counterparts, also need clean air to breathe. An earlier U.S. Environmental Protection Agency (EPA) proposal threatened to exempt rural communities, as well as mining and agricultural activities, from meeting standards for particulate pollution. The new standards, while a giveaway to polluters, at least continue to leave rural communities with protection. For towns like Aspen, Breckenridge, Canon City, Crested Butte, Lamar, Pagosa Springs, Steamboat Springs, Telluride, and others that have struggled and are continuing to struggle with particulate pollution, the new standards at least continue to give citizens and local governments the tools to protect health. Even in rural communities, particulate pollution can be a serious problem. 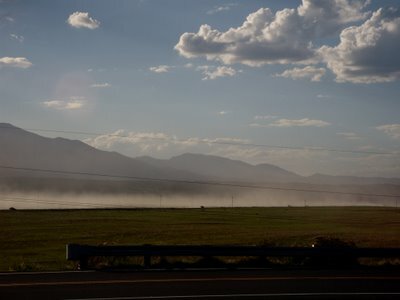 Check out our previous post on dust clouds in Pueblo County for an example. The L.A. Times had a great story today about the need for stronger particulate standards. As many as 64,000 people die prematurely every year due to particulate pollution in our skies, yet the U.S. Environmental Protection Agency (EPA) has refused to strengthen standards for particulate pollution. The impacts of this decision threaten the health of communities throughout Colorado. The EPA announced today that it would not strengthen annual limits on fine particulate pollution, or particulates that are 2.5 microns in diameter or less—1/28 the size of a human hair. The EPA retained an annual standard of 15 micrograms per cubic meter, despite recommendations from its own Clean Air Scientific Advisory Committee that the standard be as low as 12 micrograms per cubic meter to adequately protect health and save lives. If, as scientists recommended, the annual standard was set at 12 micrograms per cubic meter, the Denver metro area would be on the verge of being unhealthy. On several occasions, fine particle monitors in Denver have exceeded 12 micrograms per cubic meter. The EPA also made only meager changes to daily fine particle limits, lowering the standard from 50 to 35 micrograms per meters cubed. Particulate matter remains a threat to public health. Those most at risk are members of all of our families: children; seniors; those with asthma, with chronic obstructive pulmonary disease, and other lung diseases; those with stroke and heart diseases; and those with diabetes. They face increased risk of dying early, having severe asthma attacks, heart attacks, stroke, and lung cancer as a result of particulate pollution. National Geographic has a very insightful article this month about the chemicals found in our bodies. The article is actually terrifying. No one seems immune from absorbing toxic chemicals, many of which remain in our bodies for years. People should check out the full version of the article, with photos and charts, in this month's National Geographic. The article also highlights the fact that air pollution is often the pathway toxic chemicals take to our bodies. Mercury, dioxins, formaldehyde, benzene, and many, many others are all released during coal burning, cement kilning, natural gas burning, surface coating, solvent use, and other industrial activities. Many of these chemicals end up in our bodies. While the effects of some are known, the effects of many others have yet to be understood. On a related note, this month's National Geographic also reports on the threats to our National Parks, with the picture below on the cover of the magazine. Join Rocky Mountain Clean Air Action! In response to efforts by Rocky Mountain Clean Air Action, the state of Colorado is moving to eliminate a 30 year old loophole in its air quality law. The loophole, which allows polluters to violate their air permits in the event of "upset conditions," has allowed air quality throughout Colorado to be poisoned and polluted. In the community of Lyons, the CEMEX cement plant has reported more than 116 "upsets" since 1999, releasing toxic dioxins and other harmful pollutants. At a hearing on September 14, the Colorado Air Quality Control Commission agreed to set a hearing on December 14 to eliminate the loophole. The result will be cleaner air, healthier communities, and greater accountability. Last May, Rocky Mountain Clean Air Action called upon the U.S. Environmental Protection Agency to follow through with its legal requirement to protect clean air and designate the Denver metro area in violation of federal health standards for ozone pollution. Ozone is the key component of smog. Formed when air pollutants react with sunlight, smog can cause wheezing among infants, lead to asthma attacks, and send elderly people to the hospital. In response to our efforts, as well as the fact that ozone levels exceeded the federal health standard 66 times during the summer of 2006, the state of Colorado is proposing to ratchet down on emissions of smog forming compounds from oil and gas developments north of Denver. If adopted, this rule should lead to cleaner skies and healthier air in Denver. With a quick letter, you can weigh in and make a big difference for clean air in Denver. The proposal could lead to a legacy of clean air if adopted, but the rules need our support. A quick letter in support of the proposed smog reductions will make a huge difference for air quality from Yuma to Montezuma Counties and Colorado communities everywhere in between. Last month, Rocky Mountain Clean Air Action filed suit against the U.S. Environmental Protection Agency over its failure to overturn a state-issued air pollution permit for the Denver Regional Landfill, a significant source of smog forming compounds north of Denver. Learn more about our efforts to secure stronger air pollution permits for some of Colorado's largest and dirtiest polluters. Founded last year, Rocky Mountain Clean Air Action has aggressively stood up for our right to breathe clean air. Our overarching goal is simple: close the net on polluters, achieve decreases in air pollution, and successfully protect our children and communities. The results have been astounding. Yet our successes can only continue with the support of members.A donation of $25 or more is what we're asking to become a member of Rocky Mountain Clean Air Action. Click here to join online in seconds, or you can send a check to the address below. All donations are tax deductible. The state of Colorado has joined Duke Energy in asking the U.S. Supreme Court to oppose a landmark Clean Air Act lawsuit that would require cleaner smokestacks and healtheir air in our communities. The suit has been supported by nearly two dozen states, former U.S. Environmental Protection Agency (EPA) officials, several health advocacy groups, including the American Lung Association and Environmental Defense, and even the Bush Administration. Rocky Mountain Clean Air Action board member Eric Schaeffer, who formerly headed the EPA's office of regulatory enforcment and now leads the Environmental Integrity Project, has spoken out in support of requiring cleaner smokestacks and in support of this lawsuit. 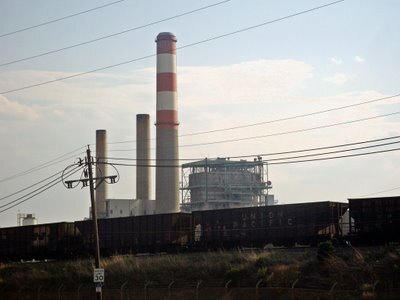 It's unclear why Colorado has mounted an opposition to cleaner smokestacks. 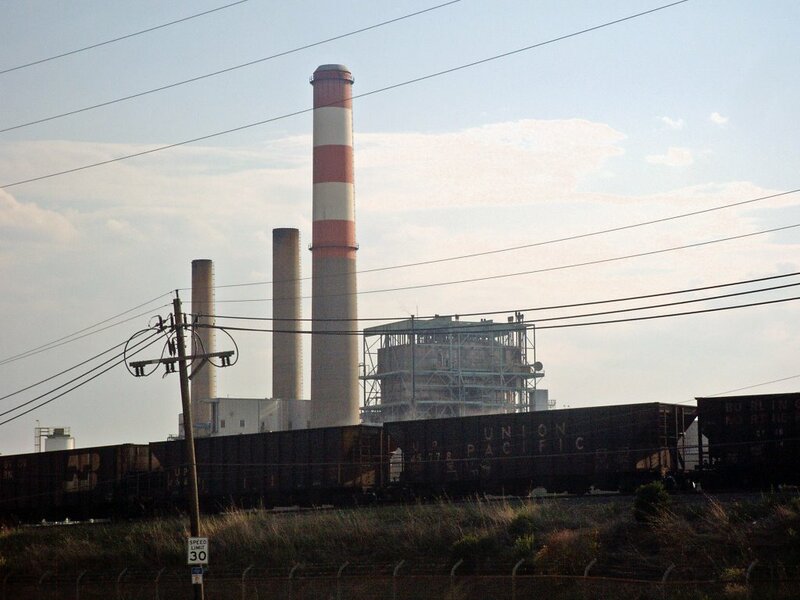 A press release on this issue from Environmental Defense is online pointing out how Colorado's opposition to clean air flies in the face of efforts to reduce ozone pollution in the Denver area, especially with regards to the operation of power plants like the Cherokee Station north of Denver (picture below). However, Colorado's opposition doesn't just undermine pollution control efforts in Denver, but in the communities of Canon City, Craig, Fort Morgan, Hayden, Pueblo, and others throughout the state. The American Lung Association just released a report showing that the U.S. Environmental Protection Agency's (EPA's) proposed standards for particulate matter are too weak and could leave more than 77 million people vulnerable to hazardous air pollution. The report echoes what the EPA's own scientific advisors have said: strengthen the safeguards needed to protect children and communities from harmful particulate pollution. In fact, under a proposal supported not just by EPA science advisors, but medical, health, and environmental groups across the country, including Rocky Mountain Clean Air Action, over 159 million people would receive greater protection from particulate pollution. The EPA is slated to decide new particulate pollution standards by September 27, 2006. The agency has a chance to adopt a stronger particulate standard. With so many people's health on the line, hopefully the agency will listen to scientists and the needs of citizens. Check out our earlier post for more information on particulate pollution in Colorado. The health of our communities and children stands to benefit tremendously if proposed smog reductions are adopted by the state of Colorado this fall. Smog is fast becoming a serious problem in the Rocky Mountains, especially in western Colorado. 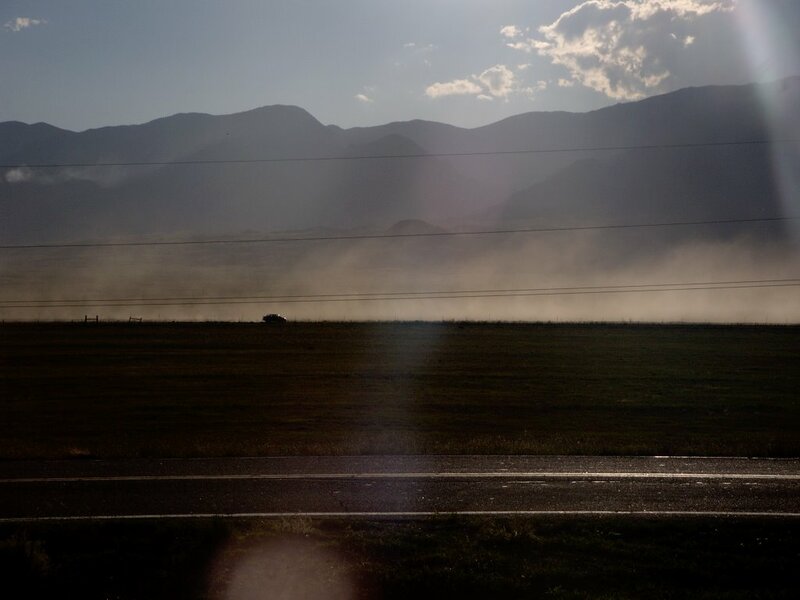 Formed when air pollutants like nitrogen oxides, carbon monoxide, and volatile organic compounds, such as formaldehyde, react with sunlight to form ozone, is the most widespread health threat to communities in the Rockies. Up high, the ozone layer helps protect us, but down low, ozone is a serious health risk. Ozone is linked to low birth weights, difficulty breathing among children, asthma attacks, and increased emergency room visits. Children and the elderly are hurt most by ozone. Federal regulation limits ozone in our air to no more then 80 parts per billion, yet scientists report negative health impacts at levels as low as 55 parts per billion. Long considered to be an urban problem, brown clouds are on the rise throughout the rural west as a result of booming oil and gas development. While smog forming compounds are released by smokestacks and tailpipes, pretty much every stage of oil and gas development releases hefty amounts of smog forming compounds. 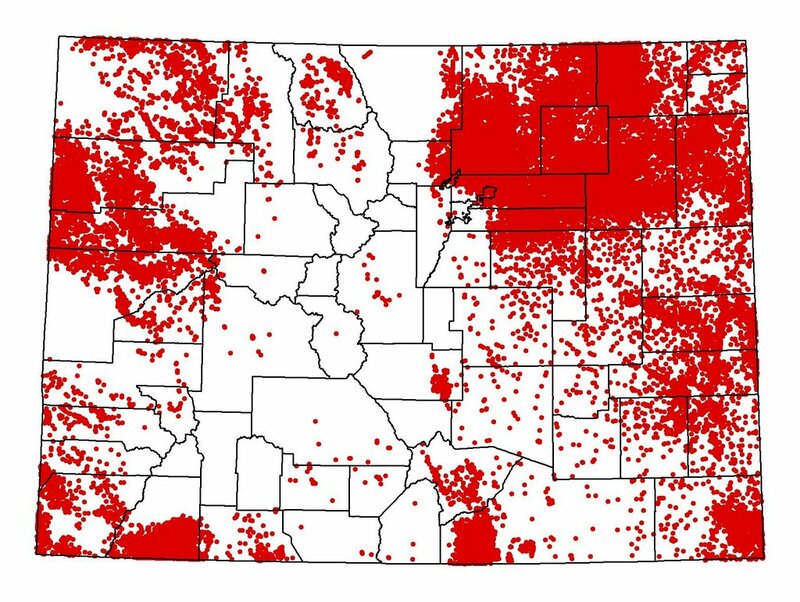 The map below, prepared with data from the Colorado Oil and Gas Conservation Commission, shows the location of oil and gas wells in Colorado. With virtually every county impacted by drilling, so too is virtually every county being impacted by air pollution. Consider this: In one year, just one of EnCana’s natural gas processing plants south of Rangely in Rio Blanco County has the potential to release enough nitrogen oxides, carbon monoxide, and volatile organic compounds to equal that released by over 43,000 cars each driven 12,500 miles a year. Even more shocking is what rural air monitors are telling us. In the winters of 2005 and 2006, smog levels in southwestern Wyoming exceeded the ozone health standard nine times. This is an area where the human population is outnumbered by the pronghorn population, where the only real source of air pollution is booming natural gas development. In southwestern Colorado, monitors in Mesa Verde National Park show smog levels have steadily risen in the last decade, with some of the highest readings recorded only in the last two years. 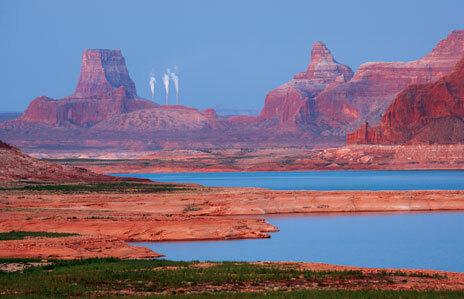 Trends show that peak ozone levels may exceed 80 parts per billion by 2009. Coupled with ever increasing drilling, we are one cough away from serious air pollution problems, and losing our health and quality of life. Recognizing this, the Air Quality Control Commission directed the Colorado Air Pollution Control Division to develop a proposal that would help reduce emissions of smog forming compounds from oil and gas developments. The Division responded, proposing safeguards that would significantly reduce smog forming compounds from three main sources: condensate tanks, glycol dehydrators, and reciprocating internal combustion engines. Condensate tanks fill with hydrocarbons from the ground as a result of oil and gas production. Pollution evaporates from these tanks as underground pressure is lowered during production, just like opening a bottle of soda (see picture below). The pollution smells just like being next to an oil refinery. The Division estimates that there are 152 large condensate tanks in Colorado outside of the Denver metro area that annually release 11,868,000 pounds of volatile organic compounds. Recently, the U.S. Environmental Protection Agency used infrared cameras to view emissions of volatile organic compounds from just one condensate tank north of Denver. The images were shocking. 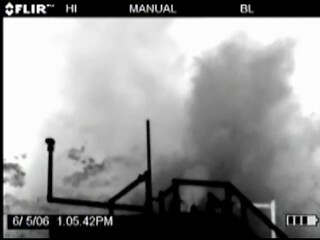 While invisible to the naked eye, with infrared, the pollution looked as if the tank was spewing out gray smoke. Glycol dehydrators are used to separate gas from water for processing and transmission. The Division estimates that there are 38 glycol dehydrators outside of the Denver metro area that annually release 2,318,600 pounds of volatile organic compounds. Engines, which are used to compress natural gas, are also significant sources of pollution. Just one 1200 horsepower engine can release enough volatile organic compounds, nitrogen oxides, and carbon monoxide to equal the amount released by over 8,000 cars each driven 12,500 miles a year. Under the state’s proposal, volatile organic compounds would be reduced by 95% from condensate tanks that release 20 tons per year or more and 90% from glycol dehydrators that release 15 tons per year or more. The result will be an immediate 13,361,340 pound reduction in VOCs. That’s like getting over 173,074 cars off the road. Second, volatile organic compounds, nitrogen oxides, and carbon monoxide would be reduced by around 75% or more from reciprocating internal combustion engines rated at 100 horsepower or higher. Essentially, these engines would be required to install the same controls that have come standard on cars and trucks for the last 30 years. While the proposal represents one of the most significant efforts by the state to reduce air pollution from oil and gas development, the smog reductions are not where we stop working for clean air. In combination with citizen watchdogging, community planning, and other efforts, the proposal puts us on solid footing to get in front of more serious pollution problems. As we’re learning in Denver, an ounce of air pollution prevention would have been worth a pound of cure. Oil and gas development needs to be done right and doing it right does not come at the expense of clean air or healthy communities. The proposed smog reductions represent important safeguards for our children and are a sensible response to looming pollution problems. With our support, clean air will be in the forecast. These pictures were taken last week on August 30th and show a classic example of how bad road dust can be in rural Colorado counties. On this day, northbound traffic on I-25 in Pueblo County south of Colorado Springs was routed onto a rural dirt road around an accident. Road dust is the most significant source of particulate pollution in rural Colorado counties and is a serious health threat. It's the reason that many rural communities have violated federal standards for particulate pollution in our air. On top of this, it's something that is almost entirely preventable. How do we do this? Pave roads, reduce the number of roads in our counties, coat roads with magnesium chloride, etc. Rural communities deserve clean air as much as their urban counterparts.